The other day I read an interesting report from FNB’s Retail segment which states that approximately 56% of middle income consumers in South Africa spend all their monthly income in five days or less after receiving it. Now the data categorises middle income consumers as those who earn a gross monthly income of between R7 000 up to R60 000. 2018 thanks to the agricultural sector, which means there might be a bit of relief for many of us. And petrol is dropping by R1.84 a litre tonight. Hopefully, retailers will play their part and cut down prices. Having said that it's still important to manage your finances well. Of course, managing your money—like most adulting things in life—takes time to understand and to improve on. And so to master, you have to be committed and a grow your understanding of your financial situation. But if you don’t take the proper steps to get organized and actually learn ways for better managing your finances, you’ll feel like you are swimming against the current. Here is an interesting bit, having studied their own customers, the CEO of FNB Retail, Raj Makanjee, says many consumers are not just living from one salary payment to another, the reality is that their monthly salary just doesn’t last for 30 days. These consumers tend to struggle with money management, with the shortfall leading to sacrifices in important areas such as having back up or emergency saving that can be used to pay for unforeseen expenses. High spending and limited savings cause consumers to rely on credit to get through the month, making them more vulnerable to be caught in a debt trap. Another interesting information from FNB is that more than half of consumers miss at least one debit order over a 12-month period, indicating the pressure consumers are under. For almost 40% of such customers, debt repayments make up more than half of their take-home-pay, which we consider to be very high. The main driver of this is large numbers of microlender loans and store cards that consumers take up. The ideal scenario for a consumer is to have one provider who gives them a transactional account and the right type of credit when needed. Being able to effectively manage your money will make life flow much more smoothly, not to mention help lower your stress levels. I encourage you to exercise financial discipline. Discipline is not dependent on having greater income but requires deliberate steps. 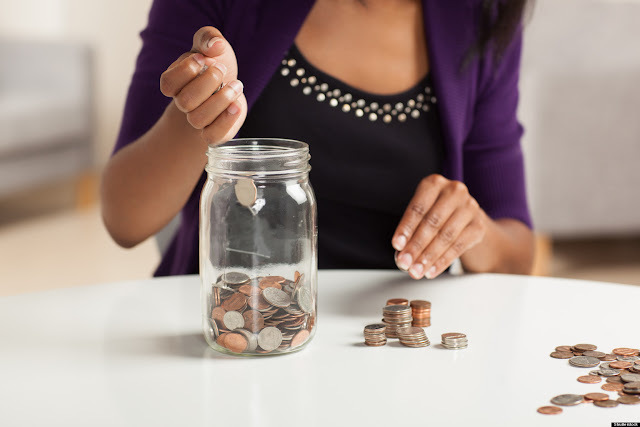 Here are fundamental steps to help you manage your money the right way. - Bank efficiently by adopting an adequate transactional behaviour. For instance, printing bank statements, skipping debit orders and making regular or large cash withdrawals adds to your bank fees. Instead, check your statements on a banking app or online, stick to recommended free withdrawal limits or withdraw at a point of sale at a fraction of the cost while making purchases. - Maximise free programmes which rewards you for swiping Credit or Cheque card when making purchases and can save you up to 40%. These savings could help you to stretch every rand and minimise the possibility of unnecessarily incurring debt for consumption. - Use the right credit and avoid expensive credit with no long-term value. The correct use of credit includes using the right credit for the right purpose. Relatively cheaper credit such as an overdraft or a credit card is useful for short-term purchases while a personal loan may be adequate for home renovations which can generate future value. - Fewer credit instalments will help you to manage your debt obligations more efficiently and free up money for savings. For instance, if you have multiple personal loans from multiple providers, you need to consider loan consolidation to help you repay a single instalment which is more manageable and often affordable than different instalments. - Synchronise your savings to your salary date and schedule an automatic transfer to a cash investment account on the day or day after your salary gets paid into your transactional account. This removes the temptation of spending the money if it was still available in your day-to-day account. - Building up savings that you can access in case of emergencies is crucial, hence it’s important to prioritise an emergency savings account which can act as a buffer or safety net to help you avoid the need to take out additional credit to pay for unforeseen expenses. Whilst saving for emergencies is crucial in helping you manage monthly cashflow, your longer term financial goals such as retiring comfortably are also important. Understanding how much you will need in future and how much you are able to save or invest regularly are important factors in determining the appropriate investment strategy to reach your goal. Partnering with a money manager who has the necessary expertise is key to guiding you through this process. What are the key lessons you need to learn to improve your financial situation over the coming year?